UNIST receives the 2017 True Company Award for embracing disability in the workplace. UNIST has been acknowledged and celebrated today with a 2017 True Company Award for embracing disability in the workplace. 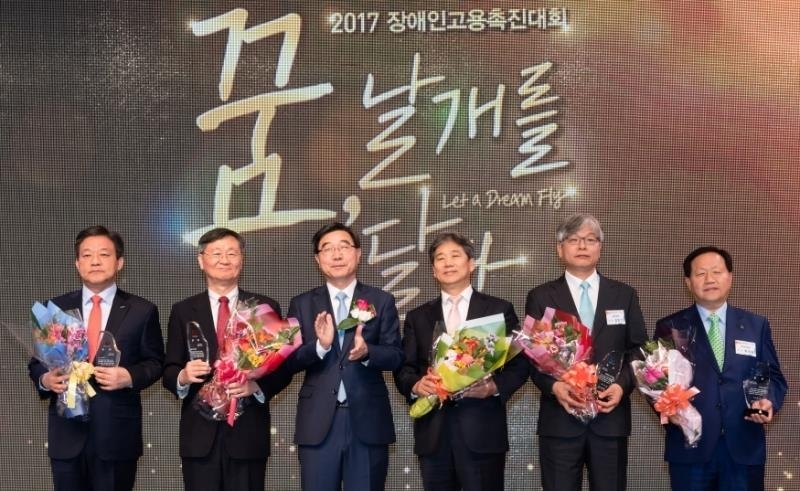 Among many other institutions that have signed the Agreement Project on Employment Promotion for the Disabled with the Korea Employment and Promotion Agency for the Disabled (KEAD), this award honors the ones with high disability employment performance. The 2017 True Company Gold Prize has been awarded to UNIST in recognition of its efforts on fufilling its social responsibilities to promote the employment of the disabled. UNIST became the first univeristy to have the honor after the prize was established in 2006. UNIST has signed an agreement with KAED to promote employment inclusion for the disabled since 2016. It has been also actively recruiting and hiring individuals with disabilities and offering them a variety of exciting job opportunities. Currently, there are 34 disabled employees, working at UNIST. UNIST has plans to hire five more individuals with disabilities later this year. As a public organization, UNIST must employ 34 persons with disabilities annually, which is about 3.2 percent of the 1,060 full-time employees. To satisfy the required employment rates for disabled persons, additional employees will need to be hired. Ms. Hye Jin Kim who is hearing-impaired, currently works at the Administrative Office of Business Administration at UNIST since May, 2016. She spends a lot of her time on administrative duties, such as archival management and security work. The most difficult task for Mr. Kim is working on the telephones. However, this inconvenience was resolved by the recent introduction of new phones, capable of video calls among the members of UNIST. 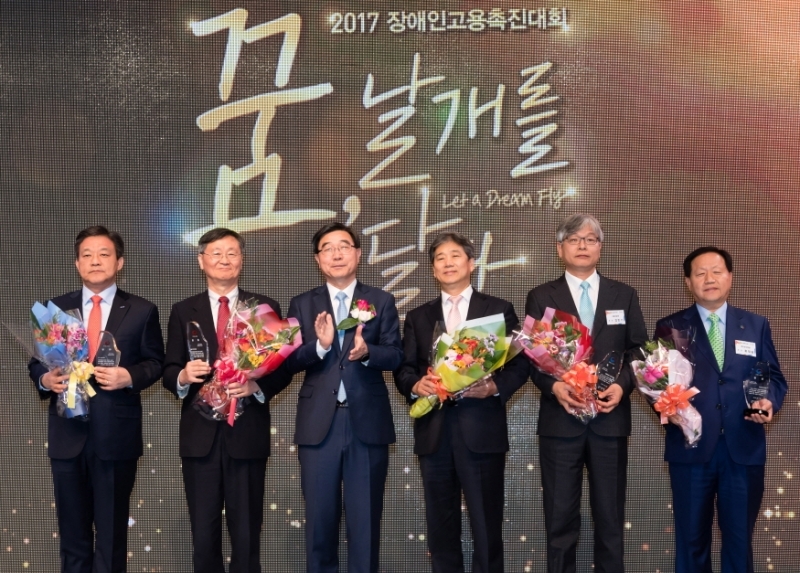 Given by the Korean Ministry of Employment and Labor (MOEL), this year’s True Company Award ceremony took place at the 63 Convention Center in Seoul, as part of the “2017 Employment Promotion Campaign for the Disabled”. This campaign was organized by the Ministry of Employment and Labor and hosted by the Korea Employment Agency for the Disabled (KEAD). Meanwhile, the True Company Grand Prize was awarded to S-one Co., Ltd.